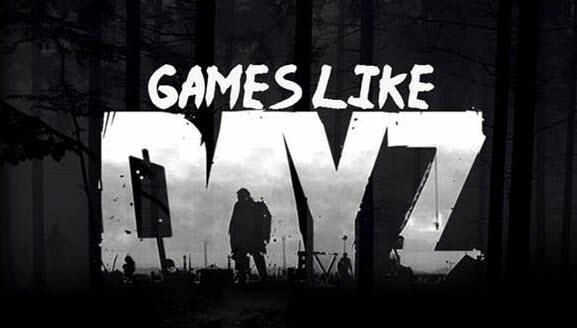 Games Like DayZ: Zombie Survival Games '+g+"
DayZ is a multiplayer open world zombie survival shooter developed by Bohemia Interactive. Started as an mod for ArmA II, the games popularity eventually let it into a standalone game available as an Early Access game on Steam. The game takes place in Chernarus, a fictional post apocalyptic Russia where the player must survive from the violent zombies either by avoiding or killing them. If you like playing zombie survival games like DayZ and looking for more games similar to it then find the below list of recommendations and don't forget to mention if we miss any games as we keep on updating this list. State of Decay is an 3rd person open world zombie survival game developed by Undead Labs for Xbox LIVE and Windows PC. Set in an world with zombie outbreaks the player must focus on surviving by designing a base, conducting raids for food, ammo, securing resources, and rescuing other playable survivors each with unique talents. Infestation: Survivor Stories (formerly known as The War Z) is an open world zombie survival horror MMO game with RPG elements. Set in Colorado during a zombie apocalypse the player can fight against zombies or other users (PvP). Rust is an multiplayer first person survival video game created by the makers of Garry's Mod. Rust was inspired by games like DayZ, Minecraft and Stalker. Here the player starts the game with nothing but a rock which can be used to gather food and resources and have to survive through harsh environment, animal attacks and other players. Project Zomboid is an open world zombie survival role playing game development by The Indie Stone, where death is inevitable. The game is set in a zombie infested city where the players must survive as long as possible. Left 4 Dead 2 (L4D2) is a co-operative horror FPS by Valve Corporation set in the zombie apocalypse. The game focuses on four survivors who must work together and fight their way through five campaigns of the game. Lifeless,..if you can think of more similar games then don't forget to mention them in comments.